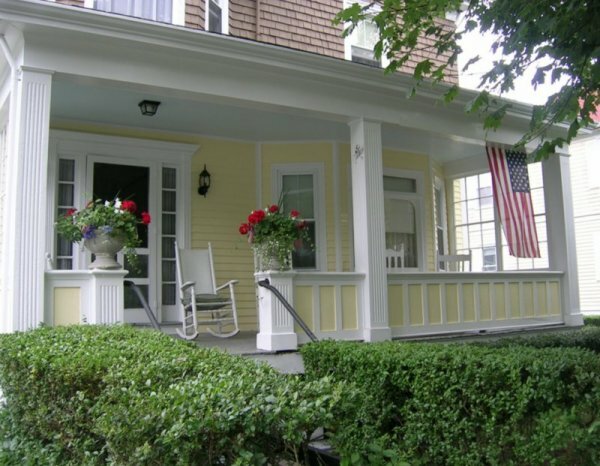 Front porches are making a big comeback. It’s not quite a return to Norman Rockwell’s Americana, but the rise in the number of new homes with porches hints at a shift in the way Americans want to live: in smaller houses and dense neighborhoods that promote walking and social interaction. Two-thirds of new homes built in 2011 had a porch, a trend that has been on a steady rise for almost 10 years, according to a Census survey of construction. The pace of new homes with decks and patios — that are more expensive and take up more space, usually behind homes — has flattened. New homes with front or rear porches has grown from 42% in 1992 to 65% in 2011, Census data show. The data also show that the percentage of homes built without a garage or carport is the highest since the late 1990s. At the housing boom peak in 2004, 8% of new homes had no car shelter. It hit 13% in 2010 and 2011. It’s very positive ” about public transportation if new construction is starting to be built closer to employment centers or transit,” National Association of Home Builders’ Stephen Melman says. “That’s what the market wants,” says Christopher Leinberger, a developer outside Philadelphia. He says the company is building mostly townhouses with porches because that’s what buyers want. I want to build a porch and my village authority has denied my permit. They stated that it would change the character of the neighborhood. I believe it would change it for the better and will use your article in my debate with the village. Oh… how disappointing, Mary Ann. Best wishes with the village!